Graduate student Bunmi O. Olatunji delights in showing people pictures of creepy-crawly creatures, rotting food and gaping wounds, just to get a response out of them – all in the name of research. “It is a pretty good deal that you can study disgust and call it science,” he said. The 27-year-old studies anxiety disorders, in particular the role of disgust in phobias and contamination-related obsessive-compulsive disorder (OCD). His research has been published in numerous journals, including the Journal of Social and Clinical Psychology, the Journal of Anxiety Disorders, and Behaviour Research and Therapy. One of Olatunji’s studies shows that disgust is a more complex phenomenon than previously believed. His paper studied the structure of disgust and examined whether it is a one-dimensional or multidimensional construct. The two-dimensional model divided the emotion of disgust into two basic categories: core disgust and animal reminder disgust. Core disgust is triggered by stimuli that may be offensive, such as rotting foods, waste products and small animals. It may be the basis for obsessive-compulsive behavior triggered by improbable contamination fears. Animal reminder disgust includes aversion towards stimuli that remind us of our animal origins – things such as death, skin or body violations, such as injections, blood draws, or mutilation, hygiene concerns and sexual acts deemed inappropriate. The two-dimensional model revealed that core disgust is more highly correlated to contamination fears than animal reminder disgust. The findings may help clinicians better treat patients. Among the most common phobia therapies is a technique called exposure treatment, in which patients are exposed to the object of their phobia to overcome their fear of it. The results of Olatunji’s research indicate that this treatment may need modification to accommodate both types of disgust. Olatunji also conducted research comparing the relationship between the two types of disgust and fainting. He found that animal reminder disgust predicted blood-injection-injury phobia and fainting. These fears are unique because avoiding the cause of those fears can be detrimental to a person’s health. Ironically, phobias are one of the easiest psychological problems to treat, but people rarely seek clinical help because they simply avoid the cause of their fears, he said. Much of Olatunji’s research involves exposing people to these types of stimuli, and having them indicate on a questionnaire how the stimuli affect them. Sometimes he uses pictures, but other times he has the compelling task of finding some pretty disgusting things. Going to the store for supplies can be interesting. Olatunji was born in Nigeria and moved to the United States in 1985. He studied clinical psychology at University of Wisconsin-Stevens Point, where he served as research coordinator for the Pain Tolerance Research Laboratory and was a research assistant in the Social Cognition Research Laboratory under his mentor Hamid Hekmat. He graduated in 2000 with distinction. The same year, he moved to Arkansas and began his graduate research training when he assumed full responsibility for the operations of the Anxiety Disorders Research Laboratory directed by psychology professor Jeff Lohr. “I wanted to work with Dr. Lohr, and it just so happened that he was in Arkansas,” Olatunji explained. Olatunji developed an interest in the origins of anxiety and factors that sustain anxiety disorders through his work in Lohr’s lab. He currently is interested in the role of disgust in the development of specific phobias, such as blood-injection-injury phobias, and contamination-related OCD, such as excessive hand-washing. In 2003, Olatunji was awarded the National Institute of Mental Health National Research Service Award fellowship in the amount of $57,000. In 2004, he was appointed to the editorial board of the Journal of Anxiety Disorders; the second graduate student to ever hold that position. His predecessor was appointed while at Yale. 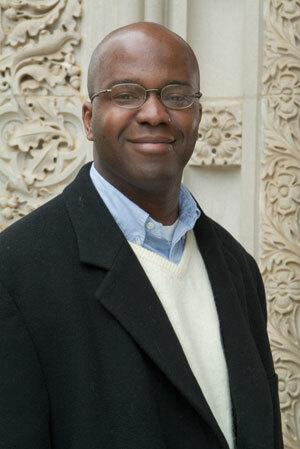 Olatunji is proud of his many collaborations and the contributions he has made to the scientific literature. He plans to extend his research on anxiety-related psychopathology to other disorders in hopes that this may facilitate the development of more disorder-specific interventions. He is preparing to begin a clinical internship this summer at Harvard University. Lohr said there will be a large hole in his academic life when Olatunji leaves to continue his endeavors.